Some stakeholders disagree on the merit of LNG Canada's Kitimat project after provincial and federal governments issue the environmental green light. Killer whales are one of several at-risk aquatic species that rely on the Douglas Channel for food and breeding. Photo by Ian McAllister. A liquified natural gas project proposed near Kitimat is receiving mixed reviews from the B.C. public as it moves one step closer to a final investment decision. The multibillion dollar LNG Canada initiative was given an Environmental Assessment Certificate last week, prompting simultaneous applause from a number of community stakeholders and concern from B.C. environmental groups. Living Oceans Society and Pacific Wild were disturbed by project’s environmental approval, and said inviting more industry into the Douglas Channel could do irreparable ecological harm. 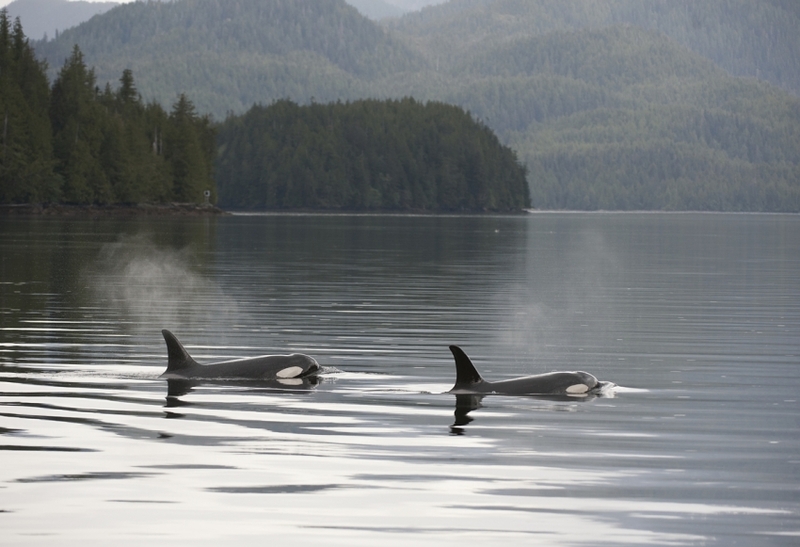 If approved, the project would build an export facility, pipeline, and marine terminal east of the Kitimat River and extending to the mouth of the Douglas Channel, which is home to killer whales, humpbacks, and other vulnerable aquatic species. At full capacity, it would produce up to 26 million tonnes of LNG per year, and require roughly one tanker trip through the channel each day. But even one tanker is too many, said Ian McAllister, executive director of Pacific Wild. LNG Canada’s website fully discloses the fact that its shipping route overlaps with areas that are important for at-risk whale species, and that its project is expected to “remove or alter” habitats and breeding grounds for local wildlife, including salmon. Its federal and provincial environmental approval however, was subject to more than 20 conditions that satisfy many community stakeholders, including Kitimat Mayor Phil Germuth, the Kitimat Chamber of Commerce (KCC), and local tour company owner Harry Murphy. They said the Douglas Channel has room enough for everyone, and Kitimat needs the industrial investment.